Password managers help you keep more passwords than you can memorize. Eric asked if he could carry one on a flash drive. I discussed password managers recently in Manage passwords, and not just on the Web, but I didn't discuss portability. How do you take your passwords with you when you step away from your computer? What you need is a portable version of your password manager. A portable program is one that can run on a PC without installation, and thus can be launched from a flash drive. My own personal favorite password manager, Password Safe, isn't officially portable. But in practice, it sort of is. After you install Password Safe onto a computer, you can drag and drop the program folder onto a flash drive and safely remove the drive. Then you can connect it to another Windows PC and launch Password Safe. 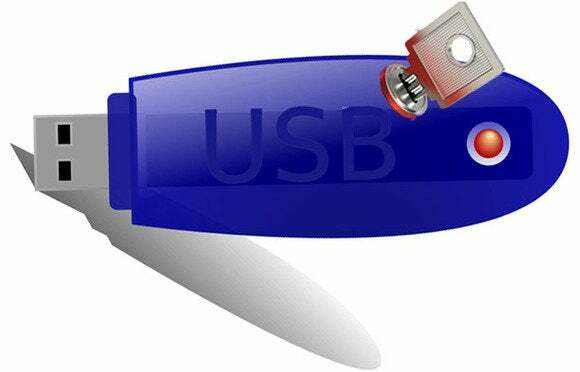 You'll want to keep your password database file on the flash drive too, of course. But this doesn't work perfectly. It has two flaws, neither of them serious. First, when you launch Password Safe from the flash drive and browse to open a password database file, the program will default to your Documents folder. You'll have to navigate drives and folders to get to the file, which will be on the flash drive. Second, when you close the program, it leaves an icon running in the notification area. You must right-click that icon and exit the program before Windows will allow you to safely remove the flash drive. You can find unofficial portable versions of Password Safe around the Internet. I've tried a couple, and they both had these same two problems. Password Safe isn't the only option. The popular Keepass program is available in a portable version, which lacks Password Safe's portable annoyances. Another option: If you have a smartphone or a tablet, both Password Safe and Keepass are available as Android and iOS apps.